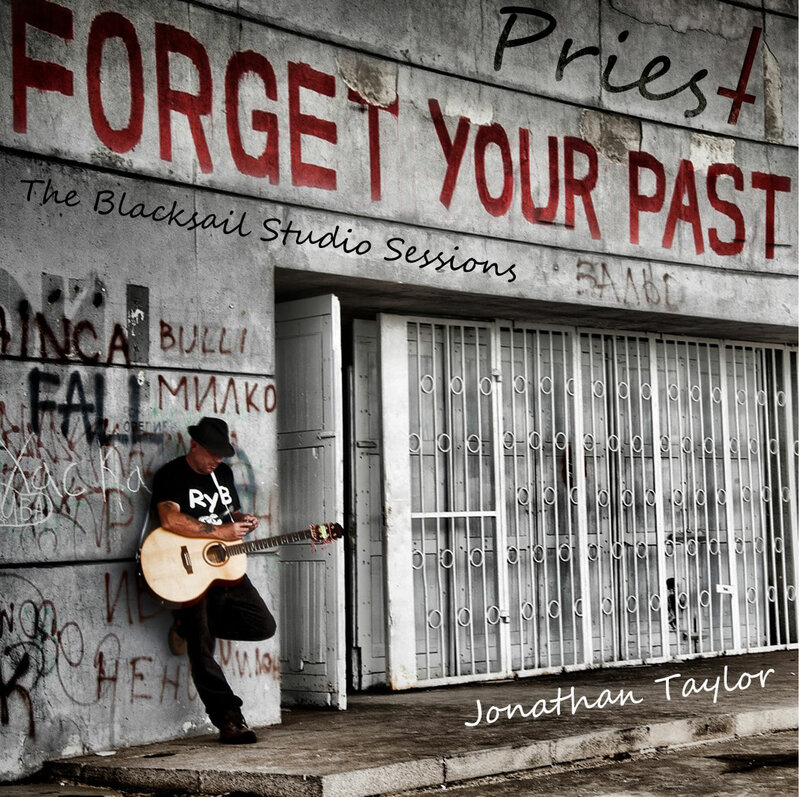 In this latest interview for the blog, I talk to singer-songwriter, Jonathan Taylor. His music is very much about storytelling, dark, witty, melodic and beautifully performed (he’s got a truly fabulous voice). I’ve put some links you may find helpful when seeking out his music, and you’ll find out what the above video is about at the end of the interview. Tell me a little about yourself, your background and life. I was born in 1966 in Warwick, in the upstairs bedroom at home in a council house, adjacent to the racecourse. Dad was a sales rep and my mother a domestic worker. We moved regularly but eventually ended up in the Forest of Dean. Following my parents’ divorce when I was six, me and mum moved to Abergavenny, South Wales where she re-married – a farm labourer. Later, at 19, I moved to Yorkshire where I remained until I was 40. As a persistent school truant and somewhat off the rails, and brutally bullied at school, childhood was one of social workers and educational welfare officers. My childhood was deeply unhappy but in many ways I was extremely fortunate, especially growing up with the freedom on the farm where I worked while not at school. I was told that I “had never completed a full week of education,” though I would attend school on odd days, to avoid the threat of being taken into care if I didn’t do so. But, when I look back now I think I had the best education available — real life. When did you first start playing guitar and, more importantly, how did the songwriting come about? I know it’s rare for you to perform cover versions, but I guess early on you would have done more – before you became a fully fledged songwriter. I always remember desperately wanting a guitar long before I learned to play. My stepfather bought me an acoustic when I was, I guess, 13-ish but no one in the family could play or tune it for me and soon I got bored with it. I took it up again when I was 15. I bought a ‘Hondo Zenta’ electric and a second hand amplifier for 75 quid. I remember my mother always turning off the electricity at the meter so I couldn’t play — as she said, it was costing too much. She would say, “You don’t need to hear it to practice.” Fortunately we had a new local and rather trendy village vicar who was be a bit more supportive. He would tune it for me and encourage me, but then I discovered you could buy electric tuners, problem solved! It was the likes of AC/DC, Iron Maiden and Deep Purple that inspired me to play. I was a rocker at a point in time everybody else was Mod. Friends and I would sit up all night jamming and learning rock covers; yep, the first tune I ever mastered, Smoke on The Water, like so many other first timers. We formed our first band, The Magic Ace and had great fun, but no covers, since I was writing originals from the age of 16 upward. I hate playing covers, for the most part, and don’t see the point unless you make your version original, I guess. Many of your songs are quite dark, some highly political, or at least controversial. Even your beautiful love songs have a tough edge alongside the tenderness (which is to say “real” love songs). What draws you to these kinds of songs? It has to be personality, you are what you are and I guess, and I’m quite a lonely, sad, dark guy. My songs are about me, they come from me and it’s just the way I express myself. It’s almost like keeping an emotional diary of life, the universe and everything. When I’m down I cry and when I cry I need to write and cry completely, that’s just the way it is. I get challenged from time to time when people say, “Why don’t you play something happy?” I think, if you came here today to listen to Jonathan Taylor, then listen to Jonathan Taylor. Do you want the truth or something simply pretty? Though I don’t think most of my material is sad, it’s more reflective and thought provoking. My songs have to say something or what’s the point? The minute you write what people want you’re not being true to yourself, and writing purely from a commercial standpoint. You lose the artist inside. I don’t have any rules when writing, other than to be myself. I guess because I don’t have rules I just go for it, to see what happens. If it makes me cry, hopefully it’ll make the audience cry and then that’s a song worth writing. Music for me is about expressing emotion, nothing less. It comes from the heart. I’ve never written to be controversial, that’s just a by product of the process; it’s called real life. If a song has swearing in it or a controversial verse, it’s because it needs to be there I hate it when people just swear for effect – boring. Some of your material is ballad like in nature while some has an almost punk or hard rock sensibility. Yet they work together as a unity, unmistakably Jonathan Taylor. So, what are your musical influences, and what inspires you? A story, first and foremost, whether it’s victims of 9/11 or the Holocaust, it’s the story. If you have a story then you have a ballad. Everything starts with the story. I pick up the acoustic and it just flows. People find me hard to work with, not as a person but as a non-professionally trained one. Though I struggle with term “professionally trained,” as I don’t think I am skilled enough to own it. I prefer singer-songwriter. I’ve seen so many first class musicians play, and I’m not one of them. Every song I write stands alone at the very beginning, just the acoustic and vocal. If the song doesn’t work live naked and solo, then it’s not my song. Everything else gets put on top afterward, even the drums, usually last. Percussion is so beautiful when used as a complement, drums are an instrument in their own right and should be appreciated, not just the ‘thump thump’ of a strong rythmn in the background. The timing changes throughout, obviously, but the songs connect with my emotional delivery, as they should. I hate a fixed, constant beat. That’s not the way I work. I have never used a click track to maintain timing too when recording – yuk! But that’s just my opinion. You involve musicians from different backgrounds when recording (and sometimes performing) – not only different musical backgrounds, but cultural ones as well. Recently you’ve worked with some amazing Bulgarian musicians, for example, Bulgaria being the country in which you now reside. What do other musical styles bring to your material and, does what you hear even drive you change what you’ve already written? I write to my surroundings and that is now Bulgaria, and the musicians here are so easy to work with. Inevitably they bring their own feel to the music. I guess my music is evolving into something akin to Baroque Balkan Folk/Rock, yeah, I like the sound of that. In the craft of songwriting, I believe you work on melody first, then write lyrics to fit. But what comes before that? The inspirations for you songs are pretty varied, I understand. Many songs are written in the time it takes to play them, you obviously craft them and change them later, but the song is there immediately. But some take years. For example one I have just finished for the new album ‘The Blacksail Studio Sessions’ took 22 years to finish. Many, many more just get binned. I keep only what I release – if it’s not good enough to put out there in the public arena then scrap it, move on. It’s hard to explain. Let’s take my latest song about a Bulgarian partisan. I have the tune, I have the melody but I just can’t find the lyrics. But as always I know that if it’s not to mind immediately it won’t come by forcing it. Writing lyrics for the sake of it doesn’t work, you don’t get the emotion. I know that one day I’ll just be strumming away and it will happen there and then when it is supposed to. I’ve got all the basics in place, now I just need the right moment. Other songs the story is in my mind long before a tune or melody. I hear things, quotes, see or read something and just think, wow, there’s a song in there somewhere. I can have an idea in mind months before it gets put to a tune. To sum it up, though, the story and the tune first, the lyrics develop later, whether within minutes or years. I’m not a perfectionist, quite the opposite, and sometimes quite lazy. If it doesn’t need a chorus or a middle eight why spend hours just doing it for the sake of musical convention? The classic, the mid-way key change, same chords same melody but just shift it up a key, well if you need to do that there’s something wrong somewhere, isn’t there? Yeah, tell me about it. I can upload a new track and within days it is available free and everywhere so what is the point at all? Well, accept it and don’t do it for the money, there isn’t any. Just appreciate the fact that it’s worth stealing, I guess. The digital age is brilliant for independents, you can now do it all, the whole process, beginning to end from a bedroom and be all over the world without actually spending any money. But this also means everybody can do it and the competion is fierce. Without the backing of a major label promoting you, you become just lost in space. The money is in performing and gig merchandise sales and that’s how it will remain for the foreseable future. When was the last time I myself bought a CD? I can’t remember, to be honest. So why spend a fortune making them? Stick with digital uploads, as that’s how I and everybody else enjoys listening to it, and how we all buy music these days. And that’s where you build an appreciative fan base, online. All the mainstream music retailers have gone, that’s reality. So adapt and use the new technology to your advantage. Consider it as free promotion and fingers crossed, one day in the right place someone will find you. Sponsorship deals, advertising and marketing (think Jeans ads) or film/movie soundtracks, that’s how indies break through these days and that’s when the majors will pick up on you. Let’s face it, I’m an indie with my own label, Brittunculi, but that hasn’t stopped me. The new age has allowed me to get TV, radio and press airplay all over the world. Twenty years ago I would have had to rely on somebody else to do it all for me. Believe in yourself, be honest with yourself and don’t heed the advice of others too much. Take it on board but take it on the chin. I used to listen to too much advice from other songwriters, then you reach a point where you become more assertive and confident and just say no, I don’t agree. It’s my song and I’m doing it my way. And that’s when I started to get noticed! What are you ambitions? I believe you have some potentially interesting stuff in the pipeline, but I wondered how you see yourself in the coming years — with a band, an orchestra, doing very different kinds of stuff? Or (don’t laugh!) going pop? Pop? Ummmmhh, it all depends what that means. If it’s popular then what’s wrong with that? We all want to be popular, don’t we? But if it means commercial, well that’s different. It goes back to doing something safe because you know that’s where the money is, but really? Pop is here today and gone tomorrow. I’d rather be seasoned and timeless and an unpopular artist if that’s the case. I mean, what is selling out? For me that’s when you do something just for the money, but selling out is definitely not the inevitable musically evolutionary path that all writers take. So if you are popular for something and you don’t evolve because that’s what people expect of your music, then that’s selling out, isn’it? Take Dylan, he didn’t sell out he just continued to develop. So I am just doing what I want to and enjoy the process, and if people come along with me that’s great. You embrace the reality of the situation. In Bulgaria they expect covers so, in spite of my feelings about them, I always do some. Just a handful, as that’s the culture here. But it doesn’t detract from my own music, it brings a new culture to them and they listen. In all my years I’ve never been boo-ed or heckled, I’m proud of that fact, but it was also here in Bulgaria that I was asked to stop playing at a gig, the first time ever. The manager loved it but the audience, well, there was a grumble that they didn’t know the songs and one rather drunken lady demanded the DJ be brought back. I can laugh about it now, but at the time it hurt. I said I’d never play there again (lol). Which doesn’t really matter, because the venue has now closed down. Probably because inevitably people get sick of the same old thing all the time. I’m putting the band together because I want to move away from the solo acoustic stuff and develop a more rock sound. There’s no other reason. It won’t change my song writing at all, just change the sound of it. The reality is that means more people to pay and thus less work, but I want to do it, that’s it. There’s other stuff in the pipeline and, yes, an orchestra is part of it. We’ll say more about that when it happens, but can you imagine…? An orchestra. That’d be something great. Unimaginable, but amazing. Fingers crossed. The new album is finished, completely different from stuff I’ve done before, and I am just waiting on one change before I formally release it. Dimi, a superb violinist with the Russe and Dublin Philharmonics will come back into the studio for the track, but she’s busy just now. But I’ll wait – she’s worth waiting for! And Valdy Totev, to add some more piano, too. And next month, I’m very excited to be working with the hugely popular Bulgarian band, Kottarashky, on a joint project, a song I wrote about, well, drinking rakia! It’s got a very strong Balkan Roma feel to it, again something completely different. a soundtrack for at least one of his murder sprees. Fact masquerading as fiction or fiction masquerading as fact….how do you feel about being a vicious killer’s favourite songwriter? OK, so there’s a psycho out there who likes my music. It feels a bit like being Wagner in Nazi Gemany and your biggest fan is Adolph Hitler. Not a moment in time to be proud of. Apparently this killer has made a “Holy decree” that I am “an untouchable.” Evidently, as a fan of my music he has secured my personal safety. Meat – Memoirs of a Psychopath is by all accounts his life story and there is some reference to one of my songs, ‘Big Jesus’ that I released years ago. To think that he has killed people whilst listening to the song turns my stomach, but the song was written and released long before he corrupted it. I’ve had many journalist probe me about this story (there will be an audio version, too, which I recorded myself – talk about revenge being sweet), but I’m telling you first because I believe that you, as a writer of crime and horror, will understand my dilemma and that your readers will see the bigger picture. Well, so long as Gabriel 13 is true to his word, and you’re safe. Finally, is there anything more you’d like to say about yourself and your music?